Fujifilm FinePix Real 3D blir verdens første system for tredimensjonale digitale bilder. Real 3D-systemet består av selve kameraet FinePix Real 3D W1, et spesialutviklet bildebehandlingsprogram og et system for 3D-utskrifter. Dessuten kommer en 8-tommers 3D Picture Viewer. Fujifilm Real 3D W1 kan ta opp både stillbilder og video i 3D, og blir utstyrt med to 10,1 megapiksels CCD-brikker. Kameraet og resten av systemet er ventet på markedet fra september 2009. Prisen er foreløpig ukjent. Fujifilm are extremely proud to announce the launch of a groundbreaking new imaging technology: the "FinePix Real 3D System". The World's first three dimensional (3D) digital imaging system that lets you enjoy three dimensional images without the need to wear special 3D glasses. The FinePix Real 3D system incorporates a 3D digital camera "FinePix Real 3D W1", a 3D picture viewer "FinePix Real 3D V1", and 3D prints. Aiming to "capture precious moments just as the eyes see them", over the last decade Fujifilm has developed unique lenses, CCDs and Processors, amongst other key digital camera technologies. Today heralds the launch of the world's first digital camera that can capture 3D stills and movies, the "FinePix Real 3D W1", and the "Fine Pix Real 3D V1", an 8-inch viewer on which spectacular 3D images can be displayed. Additionally, with advances in high precision production technology, Fujifilm has successfully developed a 3D Print service enabling you to enjoy and share your 3D images. World's first digital camera to capture realistic 3D stills and movies. 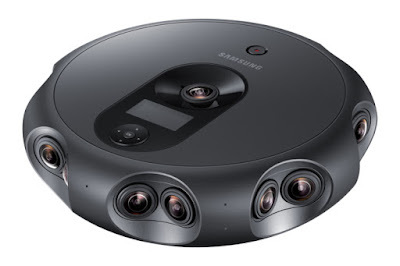 The Real 3D W1 camera features the newly developed "Real 3D Lens System." To achieve a natural, 3D image, it was necessary to flawlessly layer together two images, so two Fujinon lenses, renowned for their high resolution and exquisite rendering, were installed. A robust aluminum die-cast frame has been used to protect the lenses from vibration and impact. A 3x optical zoom, deemed difficult to achieve in 3D photography because of the precision required to align two lenses, is also possible. Moreover, the "RP (Real Photo) Processor 3D" which is based on photo technology that Fujifilm has developed over the years, synchronizes data passed to it by the two lenses and two CCD sensors, to determine shooting conditions such as focus, brightness and tonality to instantaneously blend this information into a single symmetrical image, for both stills and movies. The 3D/2D LCD monitor features Fujifilm's own LCD panel, exclusively for the display of 3D/2D images on digital cameras, allowing you to see beautiful, natural 3D images with the naked eye. As the camera performs a series of image processing steps automatically, anyone can take 3D stills and videos with superb picture quality by just pointing the camera and pressing the shutter button. The Real 3D camera allows you to adjust the settings to suit the scene being photographed. When using the 3D two-shot function, the camera shifts to take the second shot after taking the first shot, and saves a single 3D image in the camera manually. This allows you to edit the 3D images, particularly useful for long zoom telephoto shots where a 3D image is difficult to achieve, or conversely, macro shots, where the 3D effect can be too strong. 3D “Interval Shooting” allows further flexibility; it is possible to take two shots from different viewpoints continuously while the photographer is moving, for example by train, airplane, or car, etc., to achieve 3D images of long-distance views. Users can enjoy more dynamic 3D shots, whether they are capturing a sea of clouds from an airplane, or taking 3D shots of distant views from a car window. By using the "Parallax Control" function, the 3D images can be manually adjusted, either during filming or while viewing the images on the LCD monitor; this simplicity-of-use lets users really get creative when shooting in 3D! 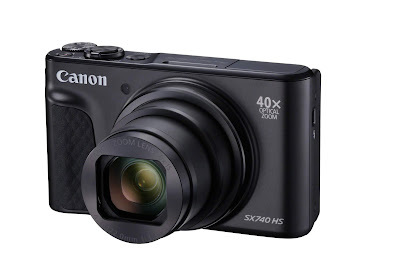 Don’t overlook the fact that this camera also brings fun new possibilities in 2D photography! You can really take advantage of the fact that this is actually two digital cameras in one. The "Advanced 2D Mode" uses Dual Capture simultaneous shooting which lets users take two different shots simultaneously by pressing the shutter once. With "Tele+Wide Shooting", it is possible to take a close-up photo of the subject and, at the same time, a photo with a wider span - just by changing the settings of the two lenses. With “Colour Mode” Dual Shooting users can take photos of the same scene with different color tonalities, for example, "Standard" and "Fujichrome", which works by changing the processing signals on the two sensors. “Sensitivity Mode Dual Shooting” mode enables you to change the sensitivity setting of the two shooting systems, which expands the range of photographic expression. In scenes where it is difficult to determine the optimal camera settings, users can take shots with image stabilization priority and then with picture quality priority and choose the best image later, or in panned shots, change the image stabilization levels to take two different shots simultaneously. You can’t deny this is a good-looking camera, with cutting-edge style. The sleek metal sliding cover which protects the two lenses is specially formed so that it can be firmly gripped with both hands. The exterior finish is a luxurious Piano Black with a superb, high-gloss, elegant shine. To add to the glamour, the neon blue "3D" logo illuminates when the camera is switched on. On the back of the camera, operating buttons such as the one-touch 3D/2D switch button, are placed on both sides of the camera for simple operation using both hands. The newly developed 2.8-inch Real 3D LCD monitor displays natural and beautiful 2D and 3D images, enabling you to compose and playback your pictures easily. 8.0 inch 3D Picture viewer that allows you to enjoy 3D images on a high resolution screen. The 8.0-inch 3D Picture Viewer "FinePix Real 3D V1" features Fujifilm's newly developed 3D/2D display 8.0-inch LCD panel, which allows users to enjoy and playback 3D images without needing to wear special 3D glasses. Insert a SD memory card on to which 3D images have been saved, and enjoy a 3D slideshow just by switching on the power. If the "Disparity Adjustment Function" is used, you can adjust the 3D effect on the viewer manually. The 3D Picture Viewer will suit any living room with its slim & minimalistic design. With various playback functions, you can enjoy more than 20 kinds of 3D and 2D slideshows, plus a MicroThumbnailView, and an easy-to-use "Picture Search" feature. With an adjustable stand you can change the angle for clearer 3D viewing, and enjoy simple operation with the intuitive remote control included. The displayed data can be transferred not only to a memory card, but also by high-speed infrared transmission, and batch transmission by connecting to the 3D camera via a USB connection. What’s more you can display & playback all the images on your computer by transferring them to the camera using a USB connection. Transfer images to other devices; SD/SDHC cards, Real 3D camera, and also your computer via USB or via high speed infrared communication. With spectacular results, Fujifilm has integrated high precision prints into its 3D offering. Through the use of lenticular sheets Fuji have the ability to produce stunning high resolution 3D images. The process involves the 3D image data being integrated using advanced technology and projected through a lenticular sheet lens to produce an image with binocular disparity. The FinePix Real 3D W1 and FinePix Real 3D V1 will be available from September 2009 Pricing will be announced nearer to the date of the launch. This is an amazing innovation and I think congrats are in order to Fujifilm for being the first to have 3D imaging available on a digital camera. I can’t wait to see how the pictures turn out!